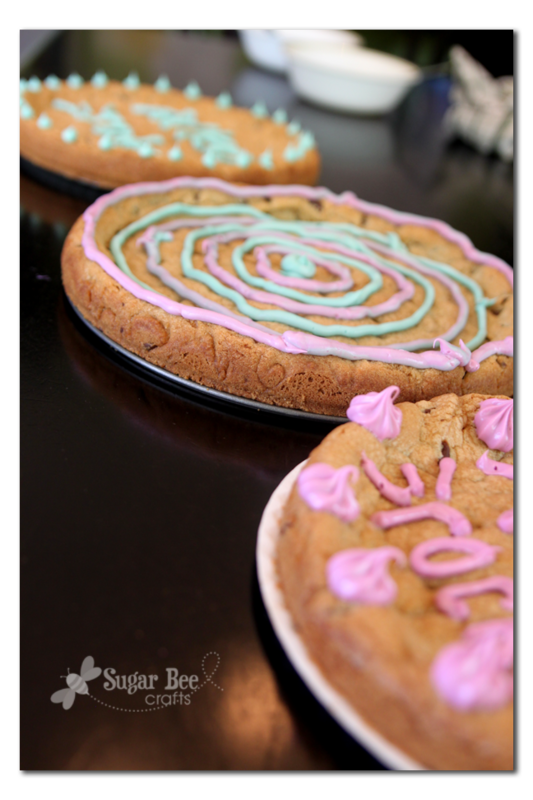 Home » Uncategorized » Cookie Pizza Revelation — Spring Form Pan! 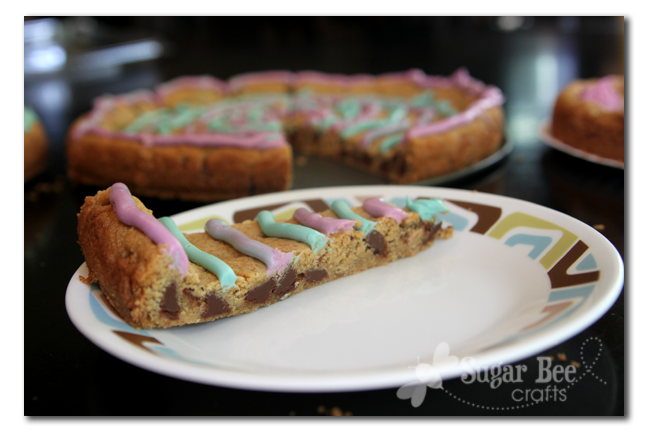 Cookie Pizza Revelation — Spring Form Pan! I’ve made Cookie Pizza several times (see, HERE it was one of my early-on blog posts), but I don’t have a pizza pan (I should really just get one). So I make a sort-of round shape on the middle of my cookie sheet, but it never looks that great. I grabbed at set of 3 at Walmart for $9. The side stays on for baking, but you undo the latch and it’ll pop off. That way the edge of the cookie is nice and raised, but then you remove the pan edge so you can wheel the pizza cutter through easily. Perfect! I teach a class at church and a couple of the kids had a birthday, so I made them personal cookie pizzas to take home. Then I made a large one for the class (and me!) to eat right then. Yummy. Love it! 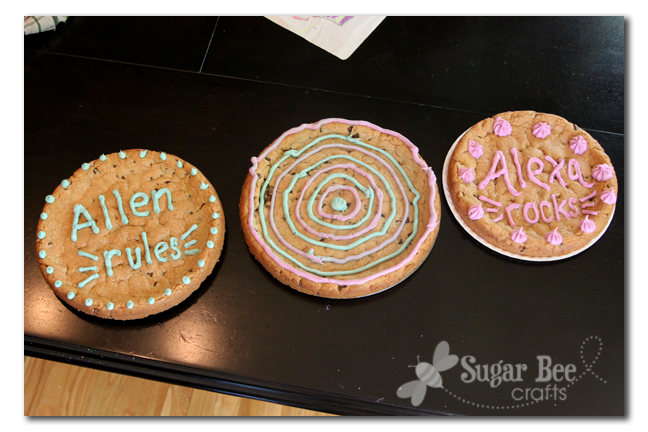 I need to make a giant cookie now! love it mine always turns out all weird shaped so this is awesome so trying it this week! Too cute! I bet the kids loved them!! Very cool! The kids would love this! I love these and the frosting colors you chose too! I am going to feature these next week! Thanks for linking up at Trendy Treehouse!